These images are printable to 8x10..This limited release does not permit printing or publication for commercial, editorial, competition or any other purposes without the express written permission of Connie Mintz Photography. .This print release grants the rights for personal use only and is non-transferable. These rights may not be assigned to any other party. .Connie Mintz Photography retains the copyright to all images pursuant to USC Title 17 (United States Federal Copyright Law). 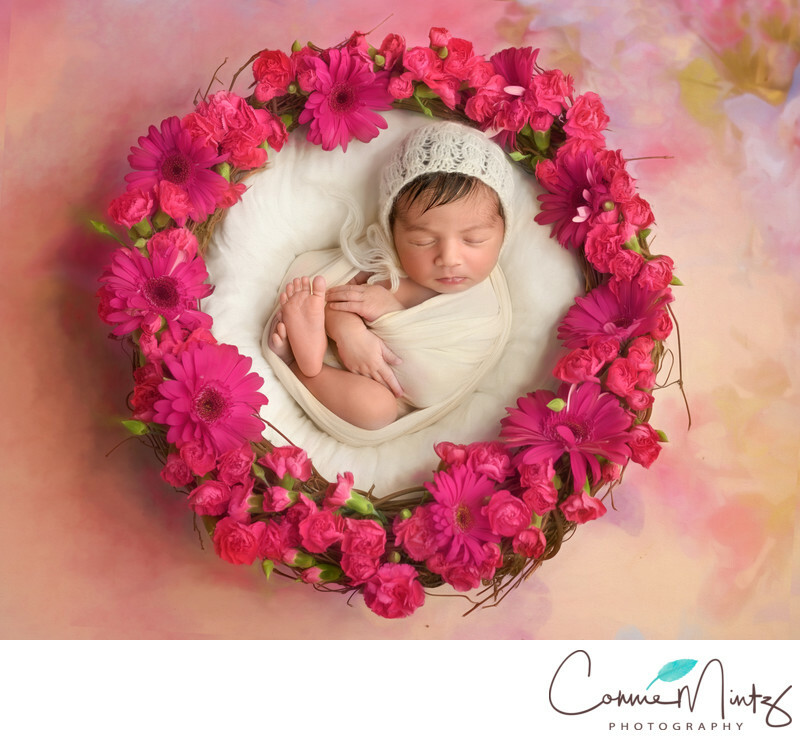 The photos may be printed but not altered or edited in any way other than by the photographer and any alteration is a violation of copyright.Keywords: basket (9), crown (9), Newborns (24), pink flowers (9), tutu (9). 1/160; f/3.2; ISO 64; 35.0 mm.